Why does so much of Japan’s contemporary art still remain undiscovered by the world? There are obvious reasons why so much contemporary Japanese art remains out of the international spotlight—and equally obvious ways that this can be changed. In Japan, you’re not likely to see very much art in the lobbies of corporations (other than banks), apartment buildings, hospitals and schools. But large companies like Mitsubishi and Sony might have a more positive impact on society by buying works from emerging, talented artists from one of the country’s art universities and exhibiting them in their buildings. In cities and states across the United States and in many public structures, a certain percentage of total building costs must be spent on art. 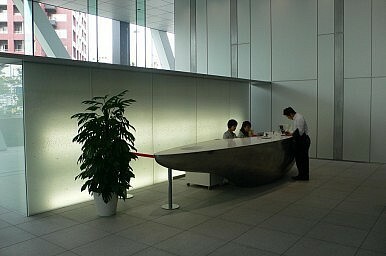 In Japan, most of the walls in public buildings and private corporations are empty. 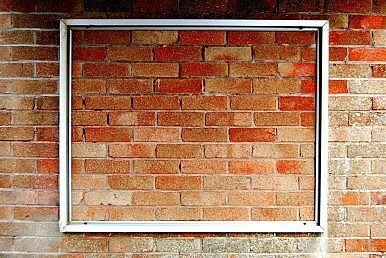 In fact, they’re so empty that we no longer notice that these walls would be a great place for art. In addition to giving exposure and income to younger artists, art in public spaces attract tenants and visitors and enhances the enjoyment and prestige of the building. Take St. Jude’s Hospital in Tokyo for example. It’s an exception to the norm, with hundreds of works throughout the facility. This makes me wonder whether it’s only a coincidence that St. Jude’s is also considered one of Japan’s top medical institutions. A company could easily acquire a very good collection of art from young artists. However perhaps one hurdle in Japan, where comfort, safety and not offending others are of very high value, is that it’s not easy for individuals and corporations to get out of their comfort zones and buy a piece of art that can’t be guaranteed to appeal as much as a water fountain…or a BMW parked out front. Language presents another major barrier for Japanese artists to become known. Sure, art is a universal language, but if the artist doesn’t have some channel to communicate with off-shore collectors, he or she will likely be limited to showing outside Japan’s very narrow market. Language barriers make it difficult for the artist, their representatives and the Japanese government to mount overseas shows. The buyers for a high percentage of Japanese contemporary art are often not Japanese, and Japanese artists either need some language skills to communicate or have a dedicated dealer, agent or gallerist who will promote the artist to foreign customers in Japan and overseas. It ends up often being the galleries who do a very high percentage of the heavy lifting in promoting younger artists—more so than anywhere else I’ve visited or lived. Without much in the way of museum shows and public settings showing young artists, the galleries have to take up the slack and will reward you with interesting shows. So if someone wants to see young artists in Japan, they must locate the galleries that show new artists. And for those who are lucky enough to seek out or stumble upon great Japanese contemporary art, they benefit from reasonable prices. In some cases, Japanese art is simply downright low in price—often 50 percent or less to buy than works by similarly experienced artists in China, America or Korea. In galleries in Japan, you’ll see work with a story, art that will move you, art that will encourage and inspire you and you will see many new techniques of painting and printing that have been developed here. This is why it continues to be a shame that so much of it remains undiscovered by the world. But there’s some hope yet. There’s plenty of reason for art lovers and travelers alike to head to the city of Osaka. Osaka Hotel Art Japan's Real 'Salarymen' Is Japan’s Art Hidden?Art and Automobiles In Need of Sensuality and Hype?